Every muggle wishes that they were a wizard, but not everyone is as lucky as Harry Potter and just gets invited to Hogwarts out of the blue. Your only option for getting in is to try and sneak in. All you need is a tie and robe to get you going and you can probably fake a spell or two, right? 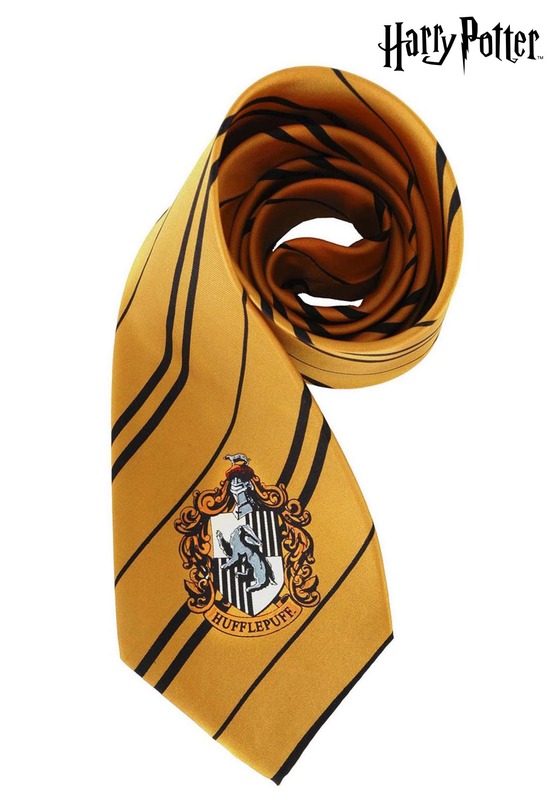 If that's your game plan than our officially licensed Hufflepuff Tie is a great place to start. You will fit right in in this yellow and black striped tie with the official Hufflepuff crest printed right on the front. Fly under the radar as long as you can at Hogwarts and you may come out with a few tricks up your sleeve. Harry Potter would be proud.